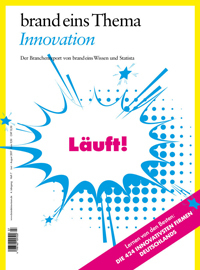 The German business magazine "brand eins Wissen" (German only) and the statistics portal "Statista" honoured the DFKI in 2017 as one of the most innovative companies in Germany. 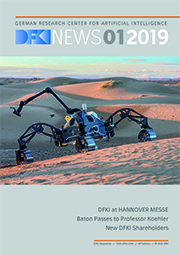 In the innovation area "Services and Products", the DFKI was ranked in the top 20. The basis for the award as Innovator of the Year 2017 was a survey of 2000 leading representatives of innovation award-winning companies, 250 experts from the Institute for Innovation and Technology and around 20,000 other experts. In total, 424 companies representing around 20 sectors were voted "Innovator of the Year 2017".